Storage is always a huge problem that sometimes drives me a bit mad because I feel every storage solution deprives me of precious space. 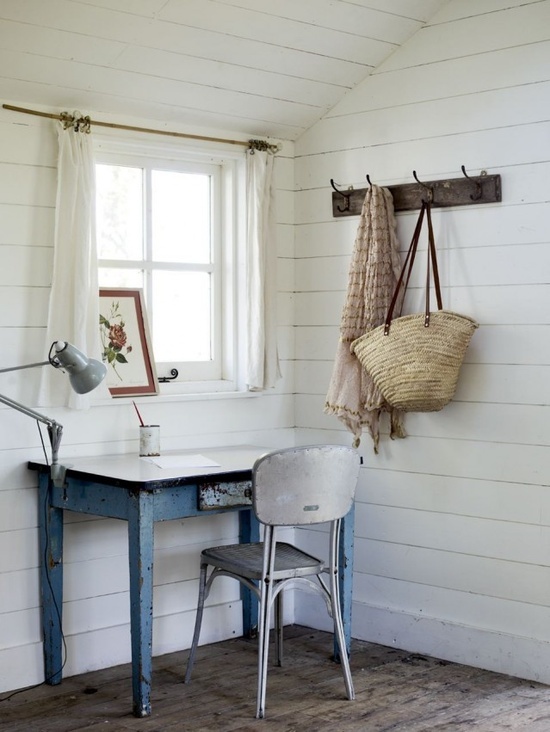 In our guest room/home office space is a big issue and we can not afford to lose the space a wardrobe uses. 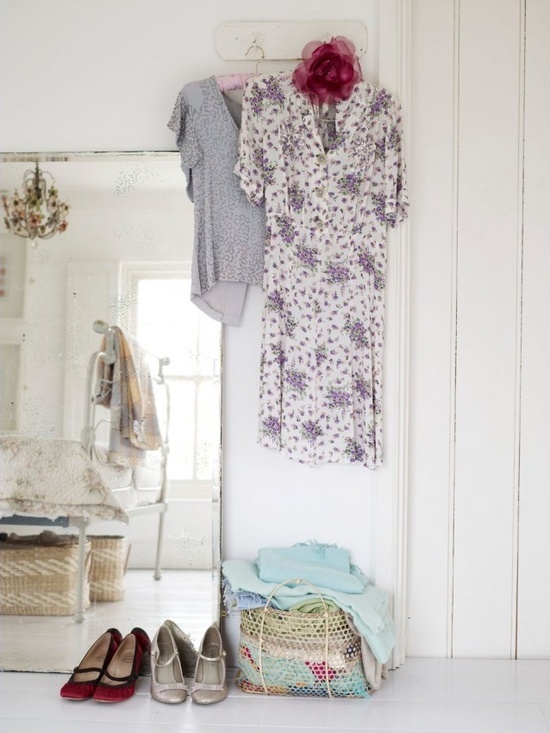 Therefore, when we do have guests they have nowhere to put their clothes. I have found the solution to this is very simply to use hooks instead of a wardrobe. 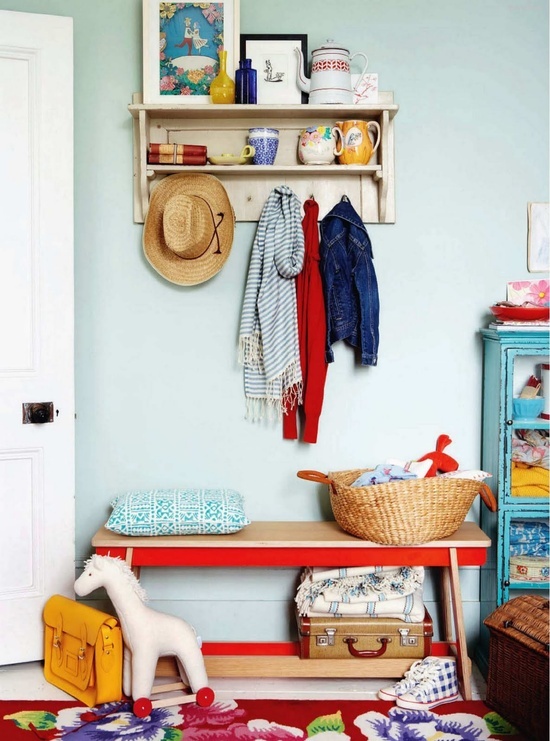 They take up no floor space and hooks can look very nice if you invest in good ones (going cheap does not always pay off). 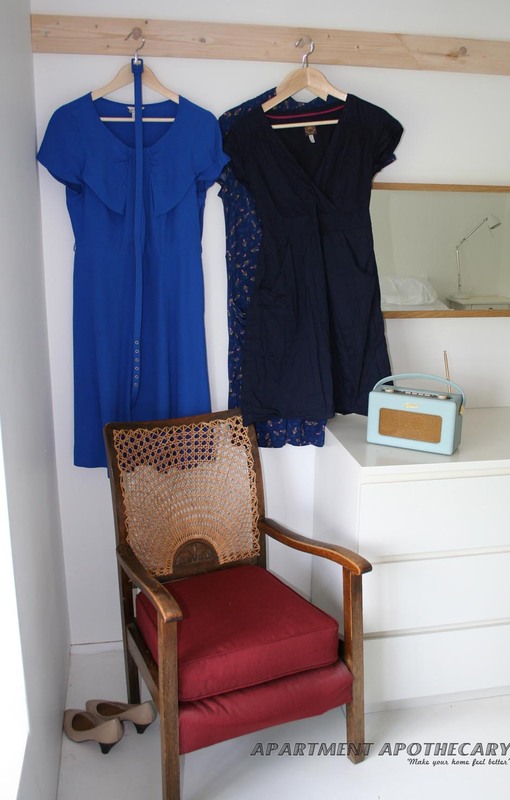 When we don’t have guests they can also be used for our wardrobe overspill or laundry. 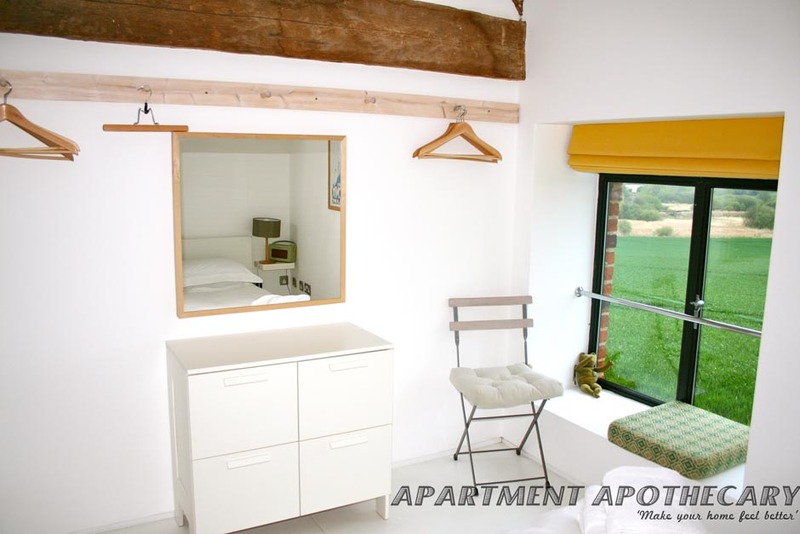 Even though there is space at the bottom of the bed to put a wardrobe it would make this room feel very small and awkward. 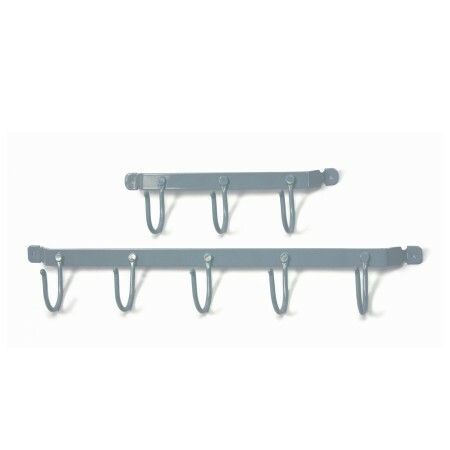 These hooks have been custom made to reach across the whole wall of this guest room so that lots of potential clutter can be hung up. 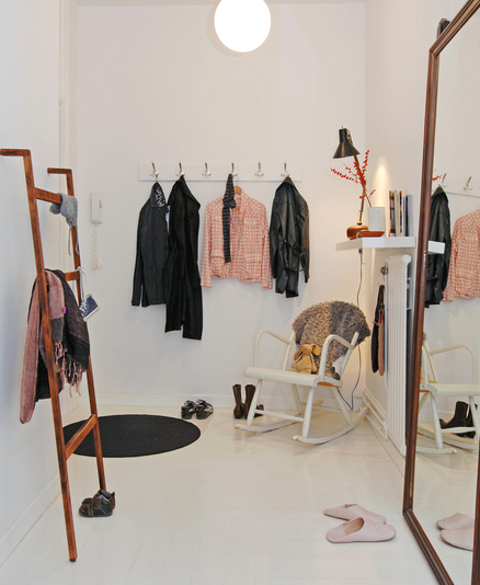 If a wardrobe had been placed where these hooks are the whole room would have lost its light, bright appeal. Painting the hooks the same colour as the walls can make them merge into the background if you do not want to draw attention to them. 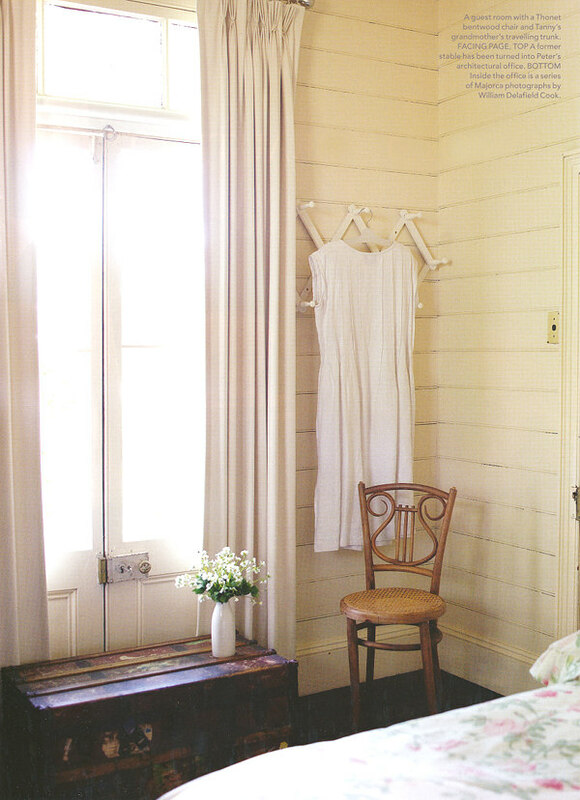 This white, light guest room is not crowded out with a wardrobe. 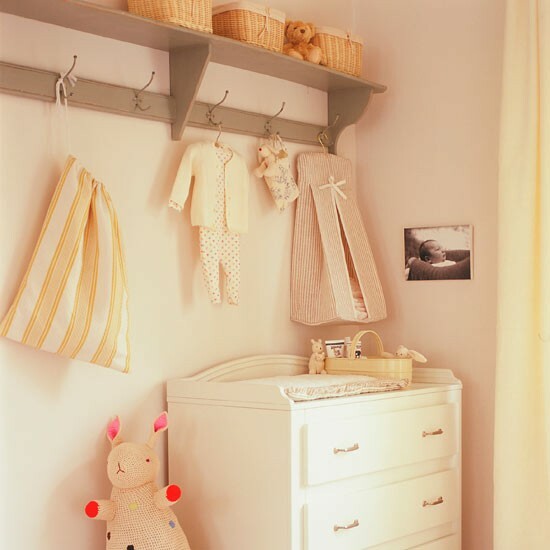 Having a shelf above the hooks adds lots of extra storage, especially helpful in small nurseries, where wardrobes are an impossibility. A wardrobe would not have fitted in to this small space. 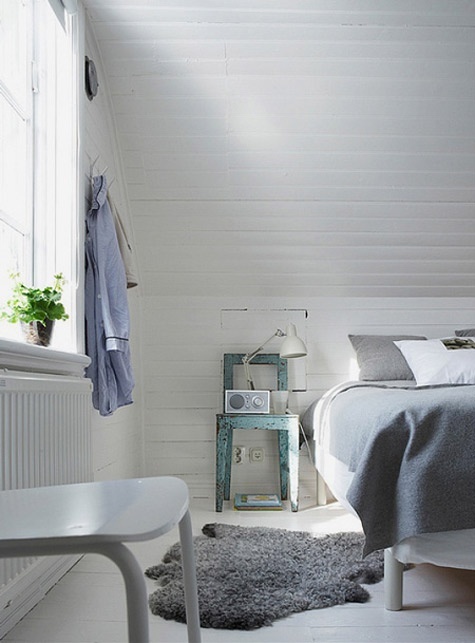 Having extra floor space can make a guest room feel a lot more comfortable. 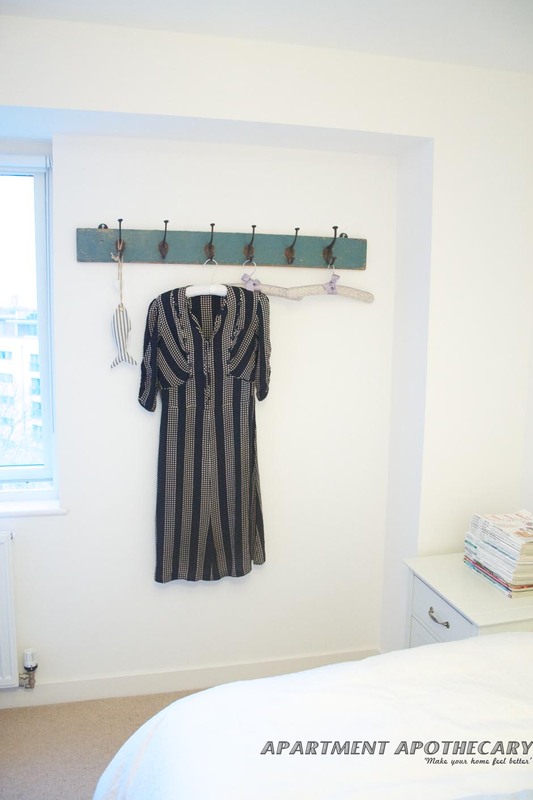 Use hooks to display your prettiest clothes. 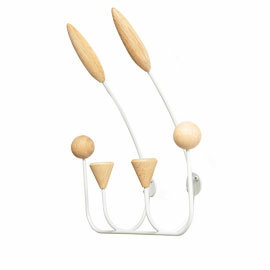 These hooks show well how they can be used practically and to display treasured possessions. Get bags, coats, scarves off the floor. These are some of my favourite hooks if you want to give it a go. 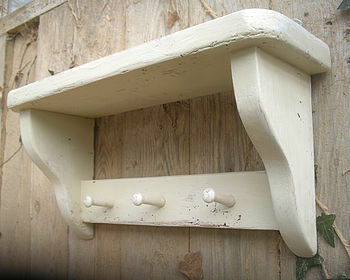 Rustic hooks with shelf and could be painted to match your wall colour if needed. Click to buy them online from Not On The High Street for £47. Love these especially because they have been reduced from £115 to £34 in the Heals sale. Click on the picture to buy them online from Heals. 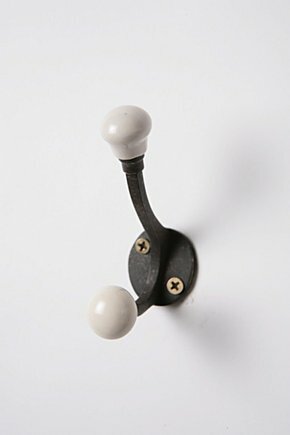 I like these simple ceramic hooks from Anthropologie. Click on the picture to buy them here for £10. 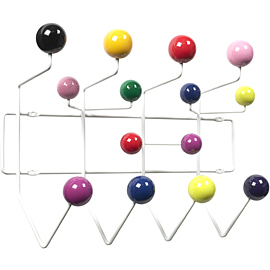 Add a modern, retro feel to your room with these Eames hooks. Click on the picture to buy them online from Heals for £198. 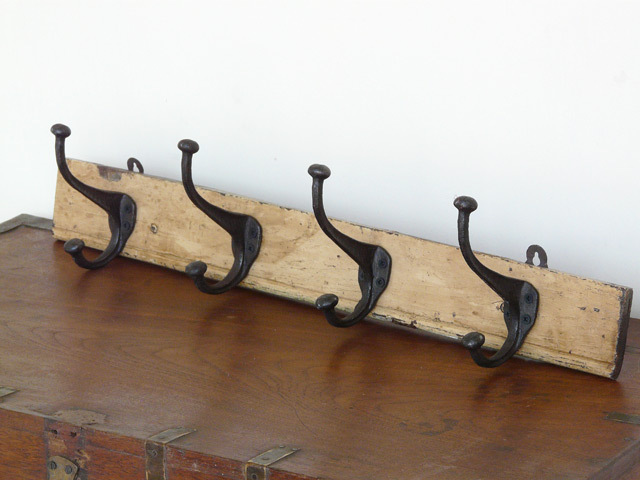 These are very similar to the hooks that I bought for my guest room. CLick on the picture to buy them online from Scaramanga for £40. A good cheap option from Graham and Greene. Click on the picture to buy them online for £6. A design statement with this “luggage rack”. Click on the picture to buy them online from Graham and Greene for £138. 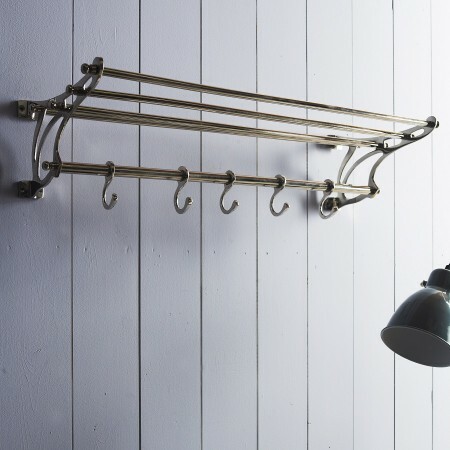 These atomic metal hooks would create a retro feel. Buy similar ones on eBay. 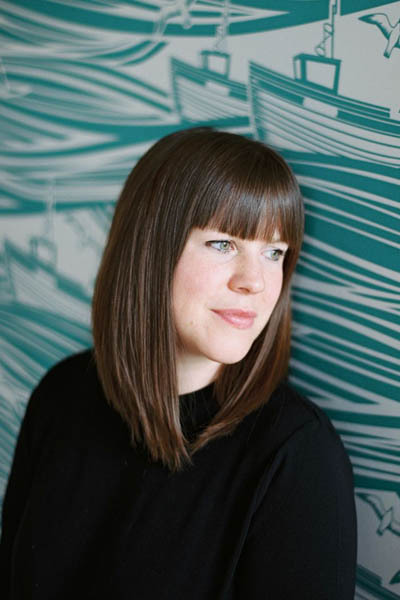 I love Scaramanga – I use it a lot for work when buying on feature films, they have great stock. I also recommend calling them if you can’t find something on their website as they have huge warehouses full of treasures and are always very helpful in sourcing specific items if they don’t already have it! !